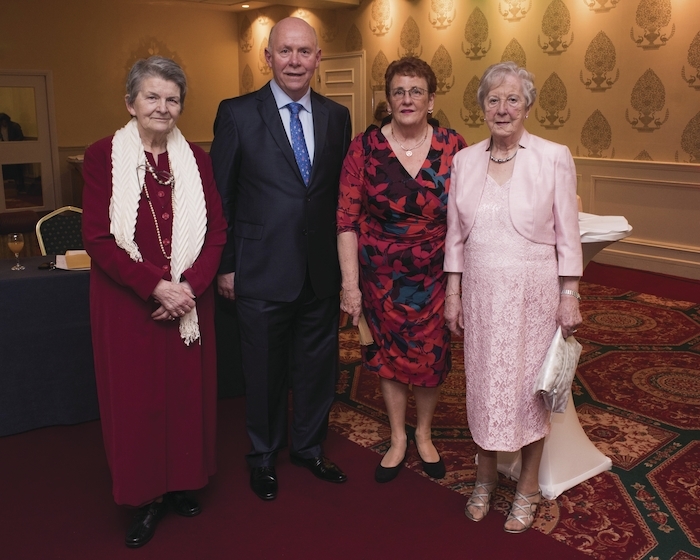 Maureen Egan (Ballycastle), John Gallagher (Blacksod), Monica Henighan (Westport), Loretta Walsh (Ballycastle) at the 48th annual Mayo Association Galway dinner dance. The Western People West of Ireland Women's Mini Marathon will take place on Sunday, May 6, in Castlebar at 12 noon. Anyone wishing to take part in the mini marathon on behalf of Cara Iorrais (Belmullet/Erris Cancer Support Services ) can contact 097 20590, email [email protected], or call in for a sponsorship card and T-shirt. Exercise classes for women take place every Wednesday morning from 11am to 12 noon in the Ballina Family Resource Centre, Ardnaree. The group enjoy a chat and catch-up over a cup of tea/coffee after the exercise. There is a loyalty scheme in place. New members are welcome. Phone 096 75573 for more information. Crochet classes for adults take place in Ballina’s Family Resource Centre on Wednesday from 11am to 1pm. Ring 087 6956652 for more information. Ballina Family Resource Centre is running an Easter maths revision course for Junior and Leaving certs. Contact 086 0851702. Spaces are limited. On Wednesday, March 21, the monthly table quiz takes place in the Pastoral Centre, and commences at 2.15pm. The following day, March 22, it closes for the Easter break, and hopefully enjoy a lunch out. Meetings resume again on Thursday, April 12. Walkers meet in Diamond Street Car Park on Mondays at 12 noon. Swimming is on a go-as-you-please basis. Mat bowling takes place each Wednesday in the Sports Hall from 1.30pm. (A small charge is payable by those playing to cover the cost of the hall ). Discussions are under way regarding the forthcoming ARA Go On in September, a few days' holiday, some more line dancing, and various other events. Watch this space for more news. Local Area Network - opposing violence against women. The first meeting is on Thursday, March 29, at 11am, upstairs in Mayo North East Office, Quay Street, Belmullet. The network hopes to bring together a diverse range of groups, agencies, services, and supports in order to have the multiagency knowledge, experience, and expertise required to effectively address this issue and to support women and children experiencing violence. With a collaborative and co-ordinated response everyone can work to make Erris a community with a zero tolerance to violence against women; and a community that understands and stands in solidarity with those who are suffering. The LAN will be a mechanism through which all its representatives and the wider community can be educated and informed around the issue of gender based violence, putting everyone in a better position to offer support, guidance, and advice should incidents of abuse be disclosed. The public's interest and participation are welcome. Contact Dervilia on 086 1068454 for more information. If you would like an item included in the north Mayo Community Diary, please email it to [email protected], by 5.30pm on the Monday before publication.